Aside from Walmart itself, there is no louder and more enthusiastic cheerleader for the retail giant’s sustainability campaign than Environmental Defense Fund. A quick perusal of the news over the last few weeks finds EDF issuing a press release about Walmart’s green leadership, praising its environmental boldness in a Fortune interview, backing its solar claims in a Fast Company article, and headlining a live chat about Walmart hosted by The Guardian. EDF, one of the nation’s largest and best-known environmental organizations, is Walmart’s right-hand man in the green game. It turns out, unlike most Walmart jobs, that’s a pretty lucrative gig to have. Since 2005, EDF has received $66 million from the Walton Family Foundation. The Waltons are the children and grandchildren of Walmart founder Sam Walton. The crucial thing to know about the family — in addition to their mind-boggling wealth, estimated at $145 billion — is that they control Walmart. They not only have several seats on the company’s board, including the chair. They own over half of Walmart’s stock. So, the Waltons both run Walmart and finance EDF. Their donations to EDF started in 2004, shortly before Walmart launched its sustainability campaign. For the Waltons, the donations are a bargain, giving Walmart’s environmental announcements an instant veneer of green credibility. It’s a great deal for EDF, too. Over the last two years, Walton money has supplied about one-eighth of the organization’s roughly $100 million annual budget. Elizabeth Sturcken: Unlike many non-profit organizations, EDF chooses not to take money from corporations or corporate-run philanthropies. This allows EDF to remain an independent and credible third party, keeping the best interest of the environment front and center. What’s really great is that there are so many individuals and family foundations that are passionate about the environment. Marc Gunther: So Elizabeth, are you saying that EDF can remain independent — and criticize Walmart when necessary — despite the funding from the Walton foundation? 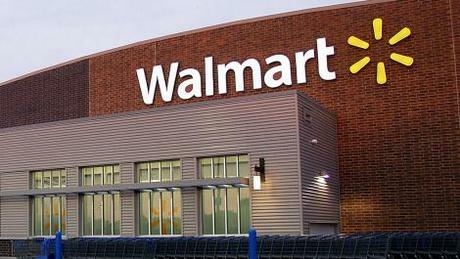 Elizabeth Sturcken: The Walton Family Foundation is an independent foundation, governed separately from Walmart. I don’t have readily available all the information on their funding. But disclosing EDF’s financial connection to Walmart still remains a rarity in reporting on the company’s sustainability campaign. A recent Fast Company article touting Walmart’s impact on renewable power, for example, relied on just three sources: Walmart, a company contracting with Walmart, and EDF. Perhaps not surprisingly, the article is riddled with half-truths and one critical factual error. It says that Walmart’s greenhouse gas emissions have declined by 20 percent since 2005, when in fact they have risen by 14 percent, according to the company’s own disclosures.